Greenwood Property Management, Greenwood Property Managers, Greenwood, IN Property Management Companies. At Red Door Property Management, we treat every property like it is our own and use every resource available to protect your investment for you. We take great pride in protecting our client’s investments and love to go the extra mile to make our clients raving fans. Some of these extra mile services include: tenant move in and move out videos emailed to owner and tenant, automatic e-deposits for owners, and 24/7 online access to view every detail about your rentals. Property Management involves a whole lot more than just finding a renter including: marketing, tenant screening, leasing, maintenance, and accounting just to name a few. RDPM knows that failure to execute every one of these steps at the highest level could result in lost profit. That is why we are committed to performing each one of these tasks as if our own home was on the line. 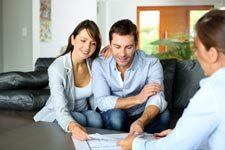 In depth analysis of comparable rents –We run an in depth analysis to make sure your home is not priced too low or too high. Suggest any improvements to achieve maximum rent – Sometimes a few small improvements can add to the bottom line. We know the market and make suggestions for you to achieve maximum profit. Internet Campaign – We utilize our own vast network of websites along with sharing our listings with hundreds of other local and national websites to get your property the most exposure possible. Print ads – A waning technology, but we still use print ads on a limited basis. Signs – Of course we have signs in the ground and we actually answer our phones and return messages! Perhaps one of the most overlooked aspects of property management is tenant screening. Simply finding a renter is only half the battle. If you end up with someone who doesn’t pay or someone who is going to destroy your property, you would have better off having no one in there at all! This is why tenant screening is so important and why we spend so much effort making sure the tenant will respect and maintain the property. Still concerned about evictions? Red Door Property Management is the only property management company in the Greenwood region to offer our exclusive Eviction Protection Program which covers the cost of evictions so our Owners can rest assured they will not be surprised with a costly attorney’s bill should an eviction be necessary. Click here to learn more about our Eviction Protection Program. Detailed 50+ page move in and move out inspection with detailed photos. Tenant move in and move out videos of the home that are emailed to both tenant and owner to better document the condition of the home. Property Maintenance is another would-be headache for potential landlords that we handle on behalf of our clients. Inevitably something is going to break and tenants are going to call in the middle of the night. It is our job as your property manager to handle these details for you. Need repairs done to your home to get it ready for the rental market but don’t have the capital to complete these necessary repairs? Red Door Property Management can help! We have developed a new program for home owners who understand that having a marketable property will attract a better tenant faster but just may not the funds immediately available. It is another exclusive to RDPM and we call it our Repair Cost Deferral Program. It lets you make the needed repairs without paying for it until the home is rented out. Click here to learn more about our exclusive Repair Cost Deferral Program. As you can see we do A LOT for our clients and truly do treat every home as if it was our own. We may not be the cheapest property management company but all you need is one bad experience with a cheap company to wish you had never gone down that road. If all of this sounds good to you, please feel free to call us at 317-660-1626 or fill out our owners application and someone will get back to you shortly. Greenwood is a city in Johnson County, Indiana, United States. The population was 49,791 at the 2010 Census, and increased to 56,545 in the Census 2016 estimates. Greenwood is located between Indiana State Road 37 and Interstate 65. The city shares a border with Indianapolis and is the most populous suburb in the southern portion of the Indianapolis Metropolitan Area. 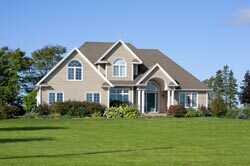 We manage beautiful homes in Indianapolis and surrounding areas.